A decade ago, many of us imagined shopping without a wallet or just a quick tap and swipe of a mobile phone at the retailer’s sales terminal. But nowadays mobile wallets and digital cash have become one of the basic necessities for common online transactions. Paypal, Fintech, bitcoins, Android Pay & Apple Pay are the most popular terms associated with mobile payments and digital cash. The advent of automation and real-time processing are some factors to make the consumers all across the globe accept the concept wholeheartedly. A trend report from Gartner predicts mobile commerce revenues will grow to half of U.S. digital commerce revenue by 2017. To concentrate more gravity toward the future of mobile payment, top mobile app developers construct every program snippet with the top notch security guidelines, coding skillsets and thorough quality testing. But still, there is a huge percentage of mobile users who step back from downsizing the labour and time with mobile wallets and rather prefer late back methods. What makes users reluctant to digital money? Loss of user data is the main reason why high-profile retailers and customers become reluctant to put their trust in mobile payment technology. With the hike in usage to 1 out of 5 successful transactions, mobile payment has led the companies to barge into development approach and frameworks implemented for self-assurance. From security to the winning layout, top mobile wallet app developers have been implementing the best approach in order to uplift mobile payments usage off the grounds. In this blog post, we have sorted some major factors which offer a great deal of concern for top wallet app developers while building an inevitable mobile wallet. A mobile wallet that offers well-rounded services shelled inside the most secure connotations. Status of every transaction should be updated to users.Payment status will promptly update the status of each payment so that all parties involved know at each moment where their money is and what is happening to it. You can imagine that when a transaction fails or something goes south, your users will want to know what is happening. Leaving them in the dark will only cause them to have less trust in your app. Users always need an easy solution to problems. If you could solve that problem with your app. You surely can make a place in Mobile App world. Easy to understand layout always win the battle with a great margin. Avoid confusing the users with complex designs and hard to handle functionality. Mobile wallets should be lightweight and easy to install. Some of the best coupons, deals, discounts and loyalty point schemes will appear in mobile wallets as marketers embrace this new way to engage customers. Coupons and discounts have always attracted a lot of crowds. Users always like to have discounts and offers. This drive traffic toward your website or mobile app. These coupons can be used for any specific brands or the whole range of things. Offering discounts and coupons and cash back will drive users to use your app more and spend more amount of money shopping or doing a transaction. Starbucks was an early adopter, with its mobile app that enables buyers to order and pay for beverages via their phone, and skip the line. The app registers loyalty points in the user’s device for each of the 9 million mobile transactions it processes every week and integrates discounts and coupons. It has already seen encouraging results: Mobile transactions now account for 20 percent of in-store sales, more than double the mobile transaction sales figures from two years ago. Save your customers from having to go shop hunting. What that means is that they should gain access to information telling them exactly where your app can be used.This will help you grow a business as well as make it easy for customers to locate stores and service around them which accept payment via your mobile app wallet gateway. By implementing a location based service that will alert them about nearby supporting stores and businesses, you can boost your app’s popularity because more people will know about more places where it can be used. 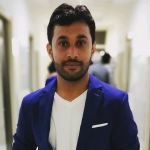 Security is the most important concern to implement across mobile wallet app where consumer and retailer could trust the coded functionality to maintain the confidentiality. Cybernetic attacks can cause too many problems to an app as well as the customer. Being reservoir to private data which could not be shared at any cost makes mobile wallet prone to hacking. This could end up a company and it’s all efforts. This is why security should be considered the top priority and should be worked on it accordingly. 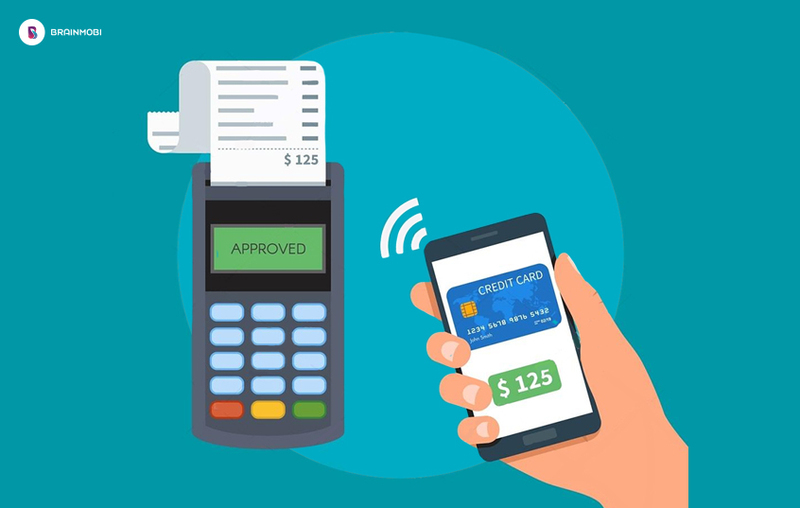 As mobile payments evolve, top app development companies are working on ways to enhance security and boost customer trust. Precautions include adding new layers of fraud protection, such as a token system, where transactions can be completed without sharing sensitive data like a credit card number and its expiration date. The app should be built carefully taking into consideration of everything. The transaction should be hassle free and easy to use. The faster the app open and completes the task if could help in getting the application famous. To build trust, providers should work on demonstrating how quickly systems can recover from an attack and how customers are covered. Moreover, Retailers will also need to invest in mobile fraud detection and prevention technologies to create a secure and trusted relationship with customers. If you take into consideration everything that we have gone over in this article, there is no doubt that you will be able to create an app like payment that will spark the attention of important clients. It is important to keep in mind that people are always looking for easier ways to do stuff, and by accommodating this demand you can easily secure yourself a sweet spot in the app market. Do you have a sparkling idea which could revolutionize the whole scenario of mobile payment? Our apps set a standard of quality while building traction among target audience and turn them into loyal users. Get in touch with our top wallet app developers to mark down other competitions in terms of services.